Facilitated Dialogue is a personalized process for individuals, families and community groups (e.g. faith communities, neighbourhood groups) impacted by sexual trauma. For example, a dialogue can include a survivor of sexual trauma, the person who harmed them, as well as others affected by the abuse, like siblings, parents, close friends and partners. 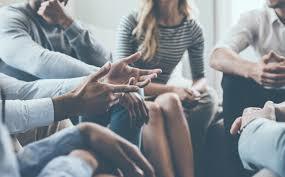 The Facilitated Dialogue (FD) process is a unique opportunity for people who have been impacted by sexual violence to continue in their healing process. Recognizing that most sexual violence occurs within relationships, FD works to heal these broken relationships through conversations guided by trained staff/volunteers who specialize in the areas of sexual trauma and sexual offending behaviour. FD provides an opportunity for individuals and families to come together in a safe way to be heard, develop understanding and find a way to move forward through the devastation of sexual trauma. The FD process can be utilized by persons who have survived sexual trauma, persons who have caused sexual harm and/or their respective families. Due to the complexity of these situations, FD usually involves several meetings and/or other forms of contact – often over a period of months. In preparation for a FD, trained facilitators meet with each participant in advance to ensure safety and respect for all involved. When the participants are ready, the FD can take many forms, including face-to-face meetings, writing letters or video conferencing. Call us at 519-744-6549 ext: 209 or email us to arrange an intake appointment. I am profoundly grateful for CJI’s Revive program. When my daughter disclosed her abuse, I had no idea what to do. I wanted something restorative but also safe. I wanted sensitivity without approving of the harm. I wanted a trauma-informed restorative approach, which I didn’t think existed! Sunna and Leslie’s combined expertise in survivorship, sexual offending, and restorative justice created a safe harbour for us to have the most difficult conversation in our family’s history. Thank You.